New Delhi:(11/02/2019) Petrotech -2019, the 13th International Oil & Gas Conference & Exhibition which is considered to be India’s flagship hydrocarbon conference. is being organised under the aegis of the Ministry of Petroleum & Natural Gas, Government of India. 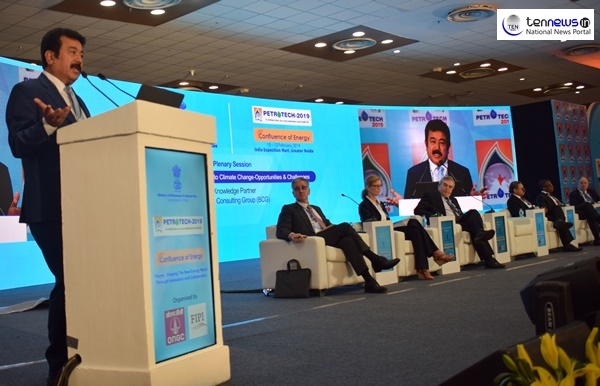 Petrotech is a biennial platform for national and international experts in oil and gas industry to exchange views and share knowledge, expertise, and experiences, exploring areas of growth in the energy value chain.The three-day mega event, from 10 to 12 February 2019, will showcase the recent market and investor friendly developments in India’s oil and gas sector. Over 95 Energy Ministers from partner countries and 7000 delegates from around 70 countries are expected to be part of PETROTECH -2019. The Inaugural addresses were followed by Plenary Session on ‘Energy Industry’s response to climate change – Oppurtunities and challenges’. The Discussion saw the Participation of the Dignataries like, Utpal Bora, SSV Ramakumar, Marcus Richards, Uwem Ukpong, Sue Allchurch, Jonathan Alkind, Nick Norton.